Our senior leadership team have extensive experience across a large variety of industries and types of business. They are supported by a team of skilled professional accountants and advisors to provide you with the highest quality service and expertise. Paul entered the practice in 1974 as a Taxation Manager and was admitted as a Partner in 1979. As an industry expert with over 30 years of experience, he takes a personal value added approach to the individual requirements of his clients, sculpting effective accounting, succession and estate planning investment structures that ensure long-term viability and enduring results. The result of cost-benefit dedication to the benefit of his clients has meant many of his original clients remain with him today. Paul advises a broad range of clients including, but not limited to, high net worth individuals/families, medical practitioners, property developers, the legal profession, real estate and a wide range of commercial clients, often being required to resolve family dispute resolutions and investment structuring. Paul also works closely with the financial planning industry and has developed mutually beneficial long-term relationships with well-respected organisations. Paul has a Graduate Diploma of Financial Planning from The Financial Services Institute of Australasia and is a Fellow of Chartered Accountants Australia and New Zealand. Murray joined Bedford CA from Deloitte in 1993 as a Client Manager, and was admitted as a Partner in 1998. Drawing on over 25 years of business advisory and financial experience, he specialises in strategic financial advice, financial and taxation management, financial accounting and reporting, assisting with the preparation of cost analysis, operating budgets, cash flow budgets and liquidity reviews, capital expenditure, cost-benefit analyses and contract negotiation support. Murray advises a diverse range of industries including inbound multinational corporations, mining, property construction and development, professional partnerships, manufacturing, retailing, importing and wholesaling and tourism. The experience gained in advising these varied industries enables him to advise his clients and assist with maximising their potential and assist with meeting their financial goals while minimising exposure to risk. Murray holds a Bachelor of Business from the University of Technology. He is a Member of Chartered Accountants Australia and New Zealand and a Chartered Tax Adviser of The Tax Institute. Andrew joined the practice in 1994 as a Manager from Deloitte (before that, at BDO), and was admitted as a Partner in 1998. 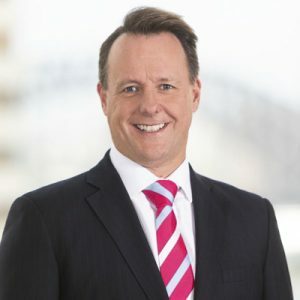 He specialises in the areas of business structuring and asset protection, taxation law and audit, business management, superannuation, dispute resolution and litigation support, compliance services, business sales and acquisitions. Andrew’s problem-solving approach consistently benefits his broad range of clients, including legal firms, medical practitioners, property developers, aged care providers, franchise and private retail businesses, primary producers, recruiters and high net worth families. 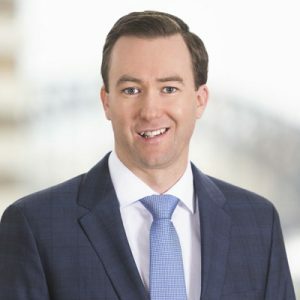 Andrew holds a Bachelor of Business from the University of Western Sydney and a Graduate Diploma of Financial Planning from The Financial Services Institute of Australasia. He is a Chartered Tax Adviser, an Associate of Chartered Accountants Australia and New Zealand, and a Member of FINSIA. Charles joined the practice in 1996 and was admitted as a Partner in 2002. Highly regarded and with a broad view of commercial matters beyond the numbers, he is a specialist in areas of strategic business advisory, taxation, succession and retirement planning, compliance with current business regulations, structuring alternatives, valuations, business acquisitions and disposals. Charles’ clients are wide ranging in size, complexity and industry focus, including property developers, construction, professional services, import and wholesaling, marketing and mail houses, agriculture, and hospitality. He also acts as a Board Member/Adviser to a number of clients and companies. 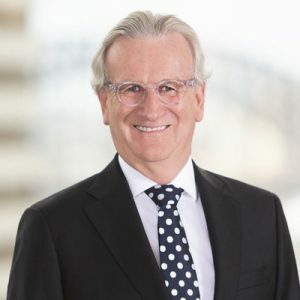 Charles holds a Masters of Commerce, a Bachelor of Economics from Macquarie University and a Graduate Diploma of Financial Planning from The Financial Services Institute of Australasia. He is a Member of Chartered Accountants Australia and New Zealand and a Chartered Tax Adviser of The Tax Institute. Matthew joined the practice in 2002 as a Senior Manager, and was admitted as a Partner in 2007. Prior to Bedford CA, he worked for Deloitte for 10 years. His experience is wide and varied. He advises many small to medium sized businesses, professional clients and individuals in the provisions of taxation, superannuation, financial accounting and reporting, structuring alternatives, succession and retirement planning. Matthew’s taxation expertise, drive and commitment to results extends over numerous industries, including property development, manufacturing, medical practitioners and other professional practices, subsidiaries of foreign companies, funds management, and high net worth individuals and investors. 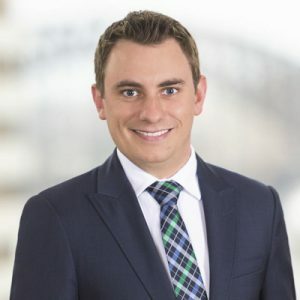 Matthew holds a Bachelor of Economics from Macquarie University, a Graduate Diploma in Applied Finance and Investment from the Australian Securities Institute of Australia and a Graduate Diploma of Financial Planning from The Financial Services Institute of Australasia. He is a Member of Chartered Accountants Australia and New Zealand. Geoff joined the practice in 2009 and was admitted as a Director in 2014. He previously worked for Deloitte Corporate Finance and ran his father’s chartered accounting practice G J Hartigan & Co. 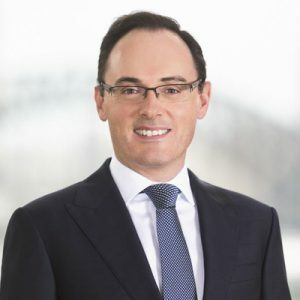 He has extensive experience in financial forecasting, business plan reviews, dispute resolution, transactional services including due diligence, and taxation structuring and business investment in Australia by foreign residents. Geoff has served as a Director of listed and financial service licensed companies and has multiple clients in the financial services and funds management industries. 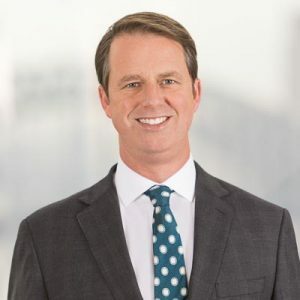 Geoff holds a Bachelor of Commerce from the University of Wollongong and a Graduate Diploma of Financial Planning from The Financial Services Institute of Australasia, and is a Graduate of the Australian Institute of Company Directors. He is also a Member of Chartered Accountants Australia and New Zealand, and a Member of FINSIA. Joining the practice in 2002, David was appointed as a Director in 2017. He has over 15 years' experience of highly skilled, organised, in-depth advisory, in all facets of taxation. He prides himself on delivering a personalised service whilst maintaining a commercial and practical approach to every client. David is renowned for his ability to identify quickly key areas and formulate comprehensive strategies. He has a specialist focus in areas of business development, retirement solutions including succession planning, due diligence, cash flow management, and dispute resolution including divorce. His much appreciated style sees him advise clients from a wide range of industries, including property development, manufacturing, the medical professions, retirement villages and legal professions. 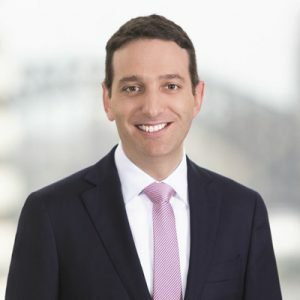 David holds a Bachelor of Commerce from the University of Western Sydney and a Graduate Diploma of Financial Planning from The Financial Services Institute of Australasia. David is a Chartered Tax Adviser with the Taxation Institution of Australia and a Member of Chartered Accountants Australia and New Zealand. Joanne joined the practice in 2011. With many qualifications and over 30 years of experience, Joanne’s thinking and approach always puts her clients’ needs at centre stage. She has worked in support of most business areas but particularly specialises in advising high net worth individuals and small businesses, including investment related entities, listed securities, medical industry and the legal profession. Joanne is also a Director of Half the Sky Foundation Australia Ltd a Registered Charity supporting orphaned children in China. Joanne holds a Bachelor of Financial Administration from the University of New England, a Masters of Accounting from the University of New England, a Graduate Diploma in Taxation from the University of Western Sydney, Nepean and a Graduate Diploma of Financial Planning from The Financial Services Institute of Australasia. 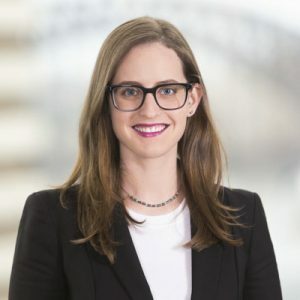 She is also a Chartered Tax Adviser with The Tax Institute, a Fellow of Chartered Accountants Australia and New Zealand, and an External Examiner for the Law Society of New South Wales. Joining the practice in 2004, Tim has over 15 years' of tax practice experience and was appointed as Associate in 2017. He specialises in tax advisory and planning for small to medium sized businesses with particular focus on tax management strategies, wealth creation, family asset protection, as well as business structuring. Tim has a wealth of knowledge on the set up and implementation of information and reporting systems including cloud based options. Superannuation, retirement and estate planning play a pivotal role in all clients’ affairs and he keeps this front of mind when working with his clients towards their goals. Tim advises a broad range of industries, including medical practitioners, real estate, rental and sales operations, primary production, family investments structures, high net worth professionals, consulting, online retail and entrepreneurial activity. 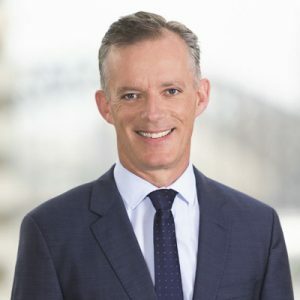 Tim holds a Bachelor of Commerce from Macquarie University and a Graduate Diploma of Financial Planning from The Financial Services Institute of Australasia, is a Chartered Tax Adviser with the Taxation Institute of Australia, and a Member of Chartered Accountants Australia and New Zealand. Tim is also a Xero Certified Partner and a Justice of the Peace. 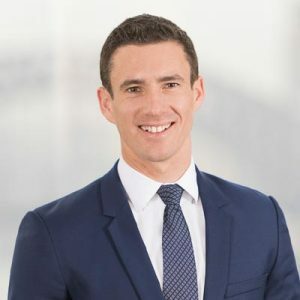 Bringing over a decade of experience gained working in Chartered Accounting firms in Sydney and London, Daniel joined the practice in 2015 and was appointed as Associate in 2017. He provides innovative and pragmatic advice on matters including business and investment structuring, risk minimisation and asset protection, financial and taxation reporting and compliance, superannuation and succession and estate planning. Daniel offers bespoke advice to his business clients who include manufacturers, exporters, wholesalers, subsidiaries of foreign companies, property developers, professional practices and high net wealth family groups. 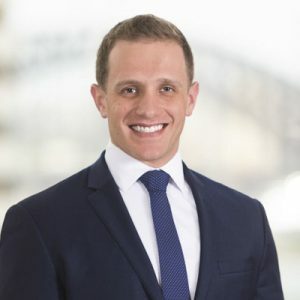 Daniel holds a Bachelor of Commerce from the University of Newcastle, a Graduate Diploma of Financial Planning from The Financial Services Institute of Australasia, and a Diploma of Management. He is a Justice of the Peace and a Member of Chartered Accountants Australia and New Zealand. Joining the practice in 2002, Rebecca has provided comprehensive and tax effective strategies to minimise risks and maximise growth and wealth for her clients. Her pragmatic approach, coupled with her attention to detail, has been of enormous benefit to her clientele. Rebecca’s key areas of specialty are tax management strategies, wealth creation and superannuation, business structuring, asset protection and year-end tax planning. This expertise has resulted in a strong client base largely comprising of high net wealth individuals, professional practices and small business. Rebecca holds a Bachelor of Commerce from Macquarie University and is a Member of Chartered Accountants Australia and New Zealand. Chanda began her career in the field of biomedical science. Deciding that taxation and business advisory was where her true passion lay, she joined the practice in 2007. 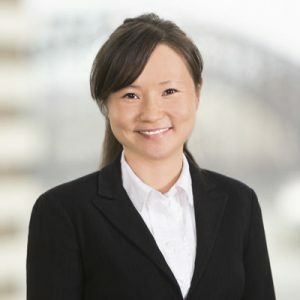 She advises small, medium and large businesses, superannuation funds, trusts, partnerships and individuals in the provisions of taxation, due diligence, cash flow management, year-end tax planning, succession planning, retirement and superannuation processes. Chanda works closely with the business management and employees to execute an efficient and effective business operation, assisting to identify key areas of development and improving their competitive edge. Her specialist clients include elite leisurewear retail and medical specialists with agricultural pursuits. Chanda holds a Bachelor of Business and a Bachelor of Science majoring in Biomedical from the University of Technology Sydney. She is also a Member of Chartered Accountants Australia and New Zealand. Joining the practice in 2014, Michael is a tax and corporate business advisor with experience covering small to medium sized businesses, and international subsidiaries. He provides proactive advice to his clients in areas of taxation, compliance, management accounting and reporting, superannuation, asset protection, structuring alternatives and cash flow analysis. Michael works with a broad client base, across industries that include property development and construction, real estate, franchise, retail, medical services and the legal profession. He also has in-depth experience providing outsourced CFO services. 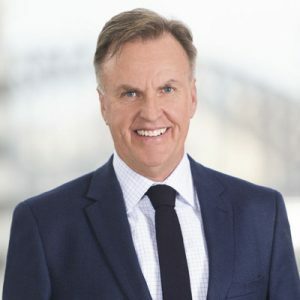 Michael holds a Bachelor of Business with Accounting and Finance majors from the University of Technology Sydney and a Graduate Diploma of Financial Planning from The Financial Services Institute of Australasia. He is a Member of Chartered Accountants Australia and New Zealand. Joining the practice in 2013, Raymon specialises in producing tax effective and pragmatic solutions to minimise risk and maximise opportunities for his clients. Raymon specialises in tax management strategies, wealth creation, management accounting and cash flow analysis, business structuring, asset protection and year-end tax planning. This expertise has assisted in obtaining a strong and complex client base across industries that include; not-for-profit organisations, retailers, hospitality, property developers, construction companies, insurers, primary producers and high-net-worth individuals. Raymon holds a Bachelor of Economics with Accounting and Finance majors from Western Sydney University. He is a Member of Chartered Accountants Australia and New Zealand, a Fellow of the Taxation Institute of Australia and is a Justice of the Peace. Joining the practice in 2014, Rowen specialises in taxation, accounting and business advisory services. He has a broad range of experience working with small to medium sized businesses, trusts, partnerships, SMSF and individuals, with a focus on providing advice in taxation, compliance, management accounting and reporting, cash flow, budget forecasting, tax planning and business structuring. Rowen has a passion for working closely with his clients and meeting their needs is his primary focus. His client base spans across various industries, including construction, property, professional practice, hotels, education, retail, importing and wholesaling. Rowen holds a Bachelor of Business Administration and a Bachelor of Commerce majoring in Professional Accounting from Macquarie University. He is also a Member of Chartered Accountants Australia and New Zealand. 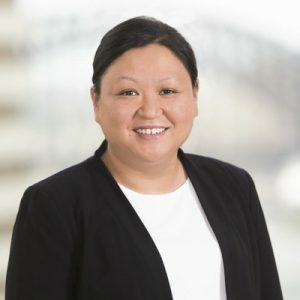 Joining the practice in early 2018, Carla started her career as a graduate in the Private Clients Tax Team with PwC Australia where she worked for more than 10 years prior to joining the team at Bedford CA. Carla has worked with a variety of clients providing a broad service offering, which includes tax consulting services, initial structuring advice, exit strategies, ATO audit assistance and capital gains tax implications, tax compliance and tax consolidation, complete outsourced CFO offering and internal accountant secondments. Carla’s clients include privately owned large sophisticated property development groups, medical professionals, high- net-worth individuals, and large corporate entities operating in retail, wholesale, freight and logistics, media and broking services. Carla holds a Bachelor of Commerce from Macquarie University and is a Member of the Chartered Accountants Australia and New Zealand. Rachel joined the practice in early 2013. She has more than 8 years’ experience in taxation and business advisory services relating to small to medium sized business. Rachel works with a broad client base that operate in various industries, including professional services, medical practitioners, real estate, legal services and the construction industry. She specialises in areas of taxation, compliance services, business structuring, tax planning and superannuation. 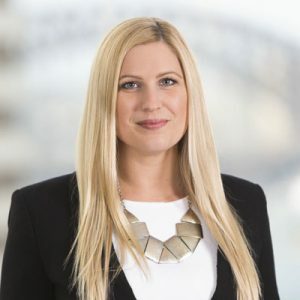 Rachel holds a Bachelor of Commerce majoring in Accounting from the University of Wollongong and is a Member of Chartered Accountants Australia and New Zealand. Diana joined the practice in 2013 and has 10 years’ experience in tax and corporate business services. She specialises in areas of taxation law, compliance services, business advisory, superannuation and tax planning. Diana works closely with small businesses that operate in various industries, including providers of professional services, the medical industry and high-net-worth individuals. 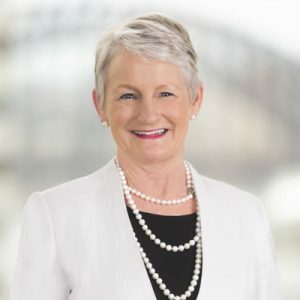 Diana holds a Bachelor of Business and Commerce majoring in Accounting from the University of Western Sydney and a Graduate Diploma of Financial Planning from the Financial Services Institute of Australasia. She is also a Member of Chartered Accountants Australia and New Zealand. 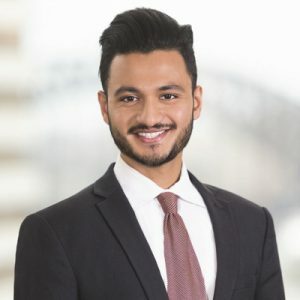 Joining the practice in 2014, Ash is a tax and corporate business advisor with experience ranging from small to medium sized businesses to high-net-worth individuals. He specialises in areas of taxation, compliance, management accounting and reporting, superannuation, asset protection, wealth creation, structuring alternatives and cash flow analysis. Ash is extremely skilled and experienced in setting up and implementing information and reporting systems including cloud-based options. Ash works with a broad client base across various industries that include property development, real estate, hospitality, auto mechanics, medical services and the legal profession. 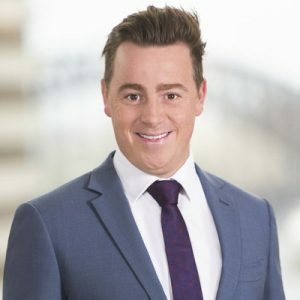 Ash holds a Bachelor of Commerce majoring in Professional Accounting from Macquarie University and is also a Member of Chartered Accountants Australia and New Zealand. 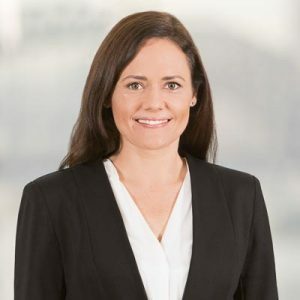 Joining the practice in 2016 after relocating from Brisbane, Cara specialises in tax and business advisory relating to small to medium sized businesses, international subsidiaries, private and public ancillary funds and high-net-worth individuals. 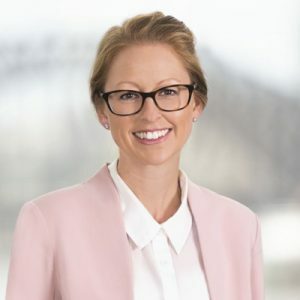 Cara specialises in providing advice on taxation, compliance, management accounting and reporting, cash flow analysis, superannuation processes, asset protection, year-end tax planning and structuring alternatives. Cara works with a broad client base across various industries that include real estate, primary production, medical services, childcare, financial services, hospitality and the legal profession. Cara began her career in the field of recovery, turnaround and insolvency until deciding that taxation and business advisory was where her true interest lay. 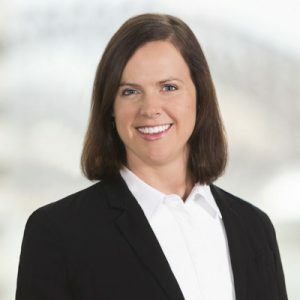 Cara holds a Bachelor of Business, double majoring in Accounting and Finance from Southern Cross University and is also a Provisional Member of Chartered Accountants Australia and New Zealand. Joining the practice in 2016, Cody specialises in taxation and business advisory relating to small to medium sized businesses. Working closely with the business owners he is able to provide proactive advice to assist in developing strategies to improve their business, as well as providing advice in taxation, managing cash flow, year-end tax planning, Xero software and superannuation processes. 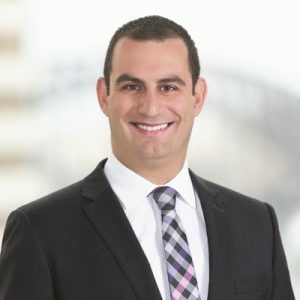 Cody has extensive experience working with high-net-worth individuals, family investment structures and companies in a wide range of industries, including wholesale, retail, equipment hire, the medical profession and professional services. Cody holds a Bachelor of Management Studies majoring in Accounting from the University of Waikato and is a Member of Chartered Accountants Australia and New Zealand. Joining the practice in 2016, Lindsay specialises in providing tax and business advisory services to small to medium sized businesses to high-net-worth individuals. 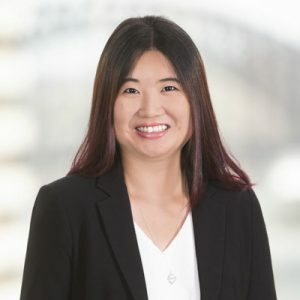 Her attention to detail and problem-solving skills has enabled her to provide tax effective solutions to her clients in areas including year-end tax planning, business structuring, tax compliance and superannuation. 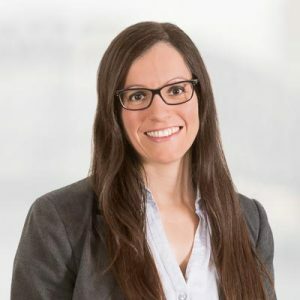 Lindsay has experience across a broad range of clients and industries, including medical practitioners, legal firms, real estate, recruiters, retail and primary producers. 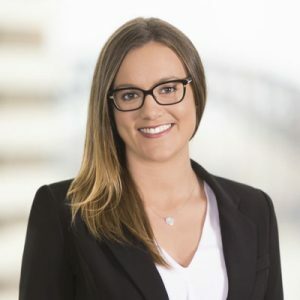 Lindsay holds a Master of Commerce with Accounting and Finance majors from the University of Queensland and is a Member of Chartered Accountants Australia and New Zealand. 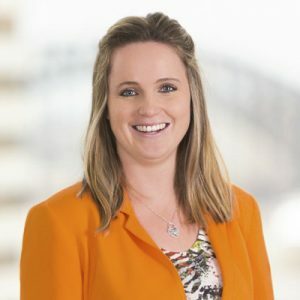 Joining the practice in 2017, Julia has experience working with small to medium businesses and has worked with a wide range of clients across various industries, including the medical profession, legal profession, retail, property development, construction, primary production and superannuation. Julia prides herself on attention to detail, good communication skills and professional approach. She provides clients with confidence knowing that their taxation and compliance responsibilities are being effectively managed and assists in identifying ways in which to grow their businesses into the future. Julia holds a Bachelor of Commerce in Accounting from the University of Sydney. Joining the practice in 2017, Nancy has extensive experience in providing business advisory services and tax planning strategies to her clients. Nancy works diligently with her clients to provide pragmatic solutions. Nancy advises on a broad range of industries including retailers, manufacturers, subsidiaries of foreign companies, wholesalers, not for profit associations and high-net-worth individuals. 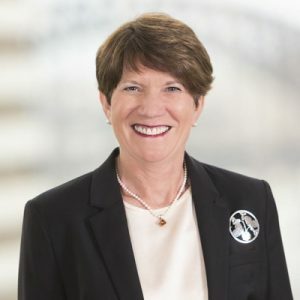 Nancy holds a Bachelor of Business and Commerce in Accounting from University of Western Sydney and is a Member of Chartered Accountants Australia and New Zealand. Olivia joined the practice in 2011 as the Internal Accountant, and in early 2012 took on the additional role of Office Manager. Within these roles, Olivia combines her operational and customer service experience with her bookkeeping skills and proficiently manages a 10 person administration team and the day to day operations of a 60 plus strong office. This includes responsibility for all internal accounting, preparation of month end and year-end financial statements, cash flow budgets, human resources and the maintenance of all office procedures. Olivia holds a Diploma of Accounting from the Australian Institute of Financial Services and Accounting. Vikki joined the practice in 2017 and manages the client interface of Bedford CA’s busy reception. Vikki has 20 years’ experience working in the horticulture industry, which has provided her with the ability to relate to people and understand their needs. Vikki was actively involved with committee work, fund raising and event management for her children’s schools. Being the instigator and leader of many of the committees and events, her skills lie in bringing together different groups of people and working towards a common goal. Joining the practice in 2017 as the Secretary and Admin Assistant, Angie has a background in librarianship and has a love of all things organisation and a passion for admin. Angie works with all the Directors and Associates and their teams, assisting them with arranging client meetings, travel arrangements, various admin tasks and whatever else they may require.